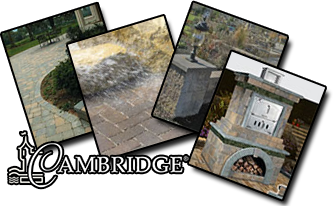 Thank you for considering Cambridge Pavingstones with ArmorTec and Cambridge Wall Systems. Premium quality without the premium price. Leading consumer publications such as Inc. magazine, The Wall Street Journal, New York's Newsday and others have singled out Cambridge Pavingstones with ArmorTec. Why? Our exclusive ArmorTec technology assures that your patio, pool deck, driveway and walkway will look like new forever. Foremost authorities that oversee and regulate manufacturing standards also recognize our principles of high quality.